This book has been created for the residents of Nunatsiavut and the many visitors who are interested in earning more about the natural environments of northern Labrador and its incredible diversity of arctic plants. 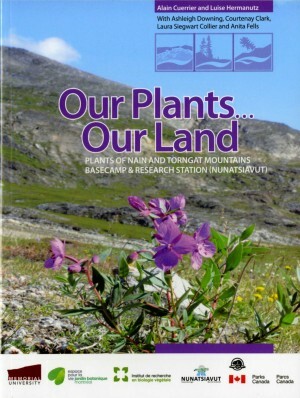 It includes plants that are commonly found in Nain and around the Torngat Mountains Basecamp and Research Station, and those that are more restricted and harder to find. 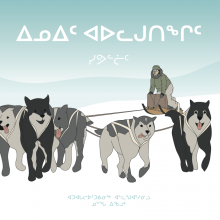 What is truly unique about this book is that it includes Inuit names for the plants and their traditional uses, something that has to date not been documented for Labrador. It not only helps visitors get to know the plants but it also honours the Inuit language and knowledge. Alain Cuerrier holds a PhD in plant systematics. After teaching briefly at UQÀM, he contributed to the establishment of the First-Nations Garden, at the Montreal Botanical Garden. Since 2001, his research focuses on ethnobotanics and ethno-ecology. His work brings him in the north where he collaborates with Cree and Inuit, recording their traditional knowledge and studying climate change. Luise Hermanutz is a professor in the Department of Biology of Memorial University (Newfoundland). She has been working in Labrador for several years.